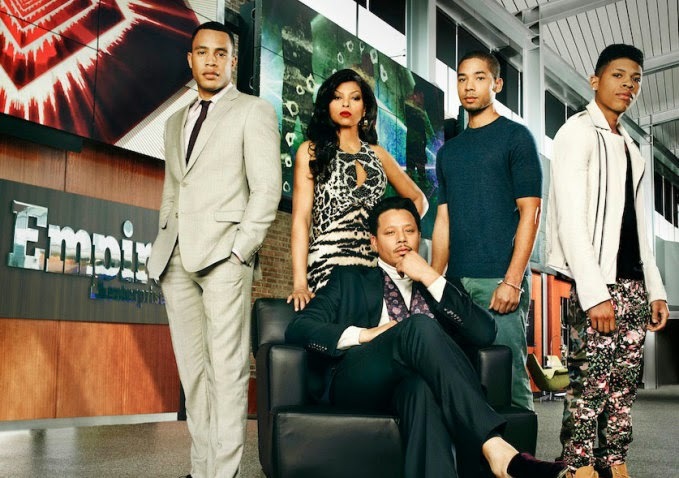 Young Gifted and Black: FIRST LOOK: NEW Lee Daniels TV Drama "EMPIRE" w/Taraji, Terrence & Malik Yoba!! This looks good! Great line up of seasoned actors, including (friend in our head) Academy Award winner Taraji P. Henson! Check out the Deets! Here's a first trailer for Lee Daniels' hip hop/family drama series Empire, which is set up at FOX, for a 2014/2015 debut. Terrence Howard, Taraji P. Henson, Jussie Smollett, Macy Gray, Bryshere Y. Gray (aka rapper Yazz The Greatest), Trai Byers, Gabourey Sidibe, Malik Yoba, and Grace Gealey make up the starring cast of a drama that centers on a family-run hip-hop empire, hence the title. The project, which reportedly sparked a bidding war among the 4 major broadcast networks last year, has received a series commitment from FOX. Howard plays Lucious Lyon, a charismatic, but tough chief of a record label titled Empire Entertainment, which is on the verge of an IPO. Meanwhile, Henson is Cookie Lyon, the ex-wife of Lucious Lyon, who's described as a "total badass" with a prison record (she served 17 years for dealing drugs, and used the money to help finance Lucious' growing music empire, when it was still in its early days). She's now out of prison, and has come for what's hers! Jussie Smollett plays their son, Jamal, a fledgling rapper himself, who is also gay - something that Lucious, the father, has a problem with. Macy Gray will appear as Tasha, a woman having an affair with Bryshere Y. Gray's character, Hakeem Lyon, Lucious' other son, the youngest, and Lucious' favorite, and the frontrunner to take over his father's empire. Trai Byers will play Andre, Lucious’ oldest son, described as tall and brilliant, but with a dark side, and Grace Gealey will play Anika, the head of A&R for Empire Entertainment, and Lucious’ current girlfriend. Malik Yoba will play Lucious' longtime friend from the streets and business associate, who is now Empire Entertainment’s chairman of the board. Finally, Gabourey Sidibe will recur as Lucious’ hard-working assistant Becky.